A mother, a nurse, meet World Health Hero Pat Furlong! In 1969, a young, single Catholic woman graduated from college with a double major, nursing and education. She was bubbly and vivacious with her curly brown locks. It was remarkable to the nuns of the all-girls Catholic college who had told her she would never make a nurse. Her social priorities overshadowed her academic prowness. At her graduation party, her parents asked her what she wanted for her present. She looked over at her fiancé, directly. “More than anything else, I want not to be engaged.” She stunned the room to silence. This is just one example of the “I dare you to say no” dogged tenacity of Pat Furlong. Motivated by a German mother who was a silent feminist before her time, Pat moved out of her parent’s home in Cincinnati, Ohio shortly after. She moved to Columbus, got her first job as a nurse in the Medical Intensive Care Unit and started graduate school at Ohio State. She just had to learn more about this fascinating thing called the body. She wanted to know how each cell worked implicitly with the others. For the first time, Pat felt free and independent. And it was liberating! Pat Furlong is now the Founding President and CEO of Parent Project Muscular Dystrophy (PPMD), now the largest nonprofit organization in the United States solely focused on Duchenne muscular dystrophy. Its mission is to improve the treatment, quality of life, overall care and outlook through research for all individuals affected by this monstrously degenerative, childhood disorder. Duchenne is the most common fatal, genetic disease which affects 1 out every 3,500 boys each year worldwide. It currently has no cure. But Pat Furlong and her team are working to change all that. In 1984, when both of her boys were diagnosed with Duchenne, Pat simply could not accept as a mother and as a nurse, the physician’s “there’s no hope and little help. . .they’ll lose the ability to walk, then lose their upper arm strength, then. . lose their life by age 20.” She wasn’t afraid to tell any doctor just what she thought. Their answers were not good enough. 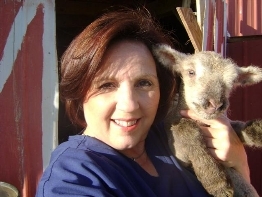 Pat’s nursing journey had taken her from the bedside, to patient educator and advocate. Garnering her gumption Pat immersed herself in learning everything there was to learn about Duchenne. There was no internet, she physically went to medical libraries and ordered articles and copies of research studies. She presented herself, not as the teary-eyed mother of two dying boys looking for a miracle. She knew better. No, Pat got her foot in many doors, by selling her advocacy as a post-graduate student on a mission of research. Sadly, there seemed to be no general concensus or standard of care about just what were the best treatment options. Everyone seemed to be doing their own thing. It was appalling. Funding for research was minimal. No one wanted to hear about a rare genetic disorder. But Pat wouldn’t give up. She had to do it. She promised her boys. The defective gene had been isolated back in 1987, but yet there still was no cure. Pat transformed all of the pain and anger that resulted from profound grief into an unrivaled, energized force. A DC lobbyist had contacted her; his son was diagnosed with Duchenne’s. Pat turned to him for advice on how to get Washington to notice. Gathering a group of other parents of young men with Duchenne, Pat founded PPMD to change to course of this disease. In 1996, they put on the first-ever NIH workshop on Duchenne, harnessing a consortium of experts from around the world. Earning seed funds, they hired a powerful team of DC lobbyists. There was legislation needed to garner increased funding for research. In 2001, Senator Arlen Specter took note. PPMD drafted the MD Care Act, laying out plans for Centers of Excellence to establish standards of care across the nation. One of our Texas DMD boys, advocate Sam Killian. Pat’s perseverance for her sons paid off. The legislation passed in Feb of 2001 infusing over 400 million dollars in pivotal Duchenne research. The NIH took notice which gave researchers a credibility factor. The moment was literally life changing for many. 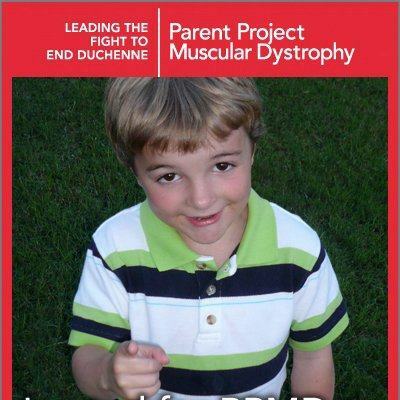 In 2010, in the medical journal The Lancet, 180 physicians published a consensus of care considerations for Duchenne. But the work still is not done. Pat has bigger plans. During the next few crucial years of research, as drugs are developed to genetically re-engineer the destructive forces of Duchenne, Pat hopes to see herself smiling. Her goal is to see more development in combined therapies for Duchenne, more early diagnosis and thus earlier intervention. She dreams to see boys still walking at 17 and 18. More extension of life expectancy into the middle thirties, maybe forties.The New Yorker named Pat a World Changer in 2010. WebMD designated her as a World Health Hero the same year. 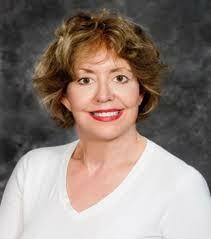 She is a top leader at the Institute of Medicine and the FDA. For Pat, indeed the mission and the message aren’t over. For her unbridled passion and stoic, gutsiness to move mountains in a sea of bureaucracy . . . all to save our boys, AgeView Press is proud to honor Belle of Steel number four – the truly amazing Pat Furlong. June Clark, age 90 and still perking along! What would you do if you were widowed with eight children in 1979? June Spitler Clark knows . . . find a way to survive. June Clark was born as a child of the Great Depression in Tecumseh, Michigan on January 31, 1922. In June of 1940, she married the love of her life, Jim, who became a dashing young pilot of the United States Army Air Corp. Head over heels and ready for adventure, they embarked on a life of military service. June was originally raised a Quaker, but then became Episcopalian. She bore two sons under that religion. She became a brave young pilot’s wife and boarded a ship to Japan with her two young sons. The time was just post Hiroshima. Countless lives lost from the bombing. What a site it was to see the gorgeous country of Japan leveled. She was called a round eye by the Asians, as she was one of the few Anglo women in that part of the world. Despite the culture shock, June immersed herself in the traditions of this strange land, desperately trying to understand and relate to the differences during countless hours alone, while her husband flew missions. They returned for a brief time to the United States and were at Spokane, Washington. Her third son was born there. But Jim’s overseas assignment then brought them to Guam. During her travels as an expat with her pilot husband to these faraway lands, June was introduced to the concepts of Catholicism. So distant from home, June began to embrace the staunch and solid beliefs of Catholicism, finding comfort in the rigors and rules of the faith. She became a convert in 1956. Dutifully following the Catholic traditions of natural family planning, June subsequently produced another five children, two boys and three girls. Interestingly enough, all of June’s children are have a middle name that is of an Air Force base. She chose their first name and her military husband their middle names. The family were then off to Spain. It was exciting to be in Europe, but the first of several tragedies loomed to burst the bubble of her idyllic, exotic lifestyle. In 1962, one of her young daughters was stricken with spinal meningitis whilst being cared for by a Spanish maid. In a matter of months, not only was the three year old’s life threatened, but her brain permanently damaged. June’s previously healthy, beautiful, blonde, baby girl would live mentally retarded for life. It knocked June to the core. Could she? Would she? Ever forgive herself for leaving her child with a caretaker? Devastated, she turned to her faith; resolutely determined to carry on for her other children. By that time, her oldest became a Coast Guard communications expert. Upon their return to the states, her second son, was sent off to Vietnam. The 1970s were rife with unrest. June experienced the horrors of the Vietnam conflict first hand, when she received her brilliant second son home as a shell-shocked, Vietnam vet, suffering from post-traumatic stress disorder. Not only that, but her ill daughter was in a state of massive decline. At the same time, her husband’s military service became illusive and secret, with him becoming part of the CIA and cold war conflict. Again, her husband’s assignments took him away to foreign lands. June was left to care for her severely crippled daughter by herself. Jim was away much of the time. June’s children were now mostly teenagers; all trying to find their way during the turbulent 1970s. The burden of the care became too much, and her daughter had to be institutionalized. One would think that life had brought her enough tribulation to endure. But there were two more tragedies hidden in the wings. In November, 1979, June’s young adult son was killed in a flying accident while joy riding in a small plane. Her husband flew home from his distant and clandestine overseas assignment. The family was photographed, symbolically as one, planting a tree in the young man’s name. But there was more sadness to come. Just one month later, June became widowed on December 14, 1979 when Colonel Jim Clark was fatally wounded in a terrorist attack while on duty as a government contract engineer in Istanbul, Turkey. It was almost more than she could bear. Abject and lost, it nearly did her in. Christmas presents remained untouched. A dark depression loomed. She relied on the strength and fortitude of her third son, who was devoted to his faith within the Catholic church. John and the rest of her children became her rock. Her only source of survival. She cottoned onto John’s mature strength of character as he navigated the complications of a CIA agent being murdered overseas. Not willing to succumb to life’s devasting blows, June turned to inward to her talents. At the encouragement of John, June enrolled in university and completed a Bachelor of Arts in Art Education. By rekindling her cognition, she overcame her desperate grief. Unfortunately, there was one more funeral in which she had to attend in 1983. The demise of her brain-stricken daughter. Bittersweet relief was realized. June wrote a poem, entitled Tiny Tita about how her daughter, who once loved to dance, now finally could in heaven. Her child’s pain was over.Yet again, June turned to her faith. The power of prayer got her through. By this time, her children were grown adults, navigating their own trials and tribulations. June continued with her art and creativity. In the early years of the millenium, around 2000, June wrote and published a book. 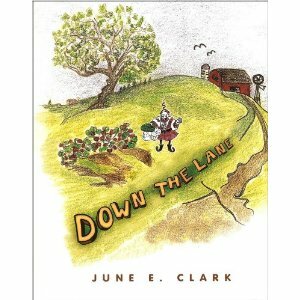 Down the Lane is about her childhood, describing the Great Lakes legend of the Ogo Pogo. That book is still in publication today. June’s large family has grown. 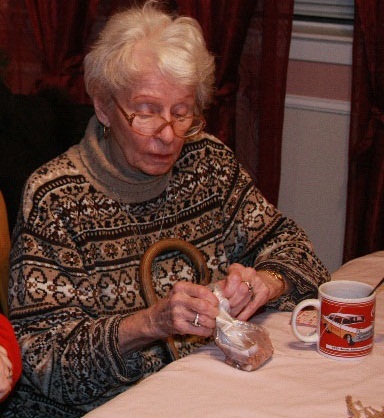 She is now is the grandmother of 10, great grandmother to 11, and has one great-great grandchild on the way. Just this month, at age 90, June was the featured author at Benbrook Library, doing a special reading to children on her book. She still attends Catholic mass each week at St. Peter’s in Fort Worth with one of her children in attendance. For her strength and fortitude; sheer determination and courage. . . AgeView Press names June Elizabeth Clark as Belle of Steel number three. To read about Belles of Steel number one and two, click the link Belles of Steel in the category margin to the left. Unfriending, unfollowing, unsubscribing. . . what gives? So you’re in writer’s marketing high gear. You’ve set up your blog. Tweeted and twittered. Facebooked, liked, and followed. You’ve read the marketing tips, blogs on social media success, tips on tweeting. Smile on your face, you are surfing the social media maze. Mail Chimp geared up, you’ve drafted a slick newsletter proclaiming your worthiness and upcoming events. Poised, polished and ready to hit . . . . send. Click. And then BAM, your friend unfriended you. Your follower unfollowed. Your co-worker unsubscribed to your email blast. What gives? All that work. All that energy. How could they? Why would they? Why would they hurt your feelings so? Diana Adams, a social media blogger concurs. In addition, she confirms that too much self promotion, obvious automation, being offensive, posting too many hashtags, and not driving real conversations are all doomsday for tweets. Don’t be a used car salesman. Sure, it takes about three or four points of contact before someone will make the connection and buy your book. That is why follow-up is important. Just don’t overdo it. Pay it foward through promotion of others work as well. A tweet or blurb about a book is always more powerful when it comes from someone other than you. It’s more genuine. So, it is essential that you create a blog, facebook page, and twitter page that present the brand and image that you want to show positively. Keep your snide and downer comments in your personal diary. Far, far away from your reading public. As a writer, promo perky as you try to be; the rejection can be tough. You put in hours of work and effort to have your neighbor down the street, click UN- Harsh! Balance your time with social media. Don’t let it overwhelm you. Writing is your gift. Make sure you are giving it enough time. Set a time limit for your social media and don’t let it drive you crazy! Slap some Neosporin on your war wounds and just keep going. Let the momentum build. Slowly, but surely. In the book marketing game, the tortoise wins the race. Wow, what a difference some positive choices can make! While she was a young nursing student, she watched her mother die from obesity related complications. At the time, her own health and overall wellness was deteriorating via obesity related hypertension and borderline diabetics. Her mother’s physician told her, “shape up or you’re next.” Carla’s obesity and lack of self-worth wasn’t just gluttony induced; largely the low self-esteem came as a result of being sexually abused at a young age. It became time for her to wake up and get with it. And boy howdy, did she ever. The change process began with a step. Walking one step after the other was her springboard. It became a motivating force to get her eating a healthier diet with the right portions. It was a lifestyle change that helped her drop well over one hundred thirty five pounds! Driven and determined, she completed this task in just nine months; and has kept it off for over 18 years. She attributes this success to daily soulful introspection for powerful and positive living, good nutrition, and an active lifestyle. She is active, but abhors the gym. Instead she does calorie burning things she likes. I first met Carla as a Weight Watcher coach. The best I had ever heard. Why? Because she was personal, no-nonsense, real and motivating. She answered your emails and tweets. She has evolved into the CEO/President of Ferrer & Company, Inc., a Wellness Organization. In addition, she is an Author, Keynote Speaker; Certified Professional Life Coach, Certified Nutritionist, Weight Loss Expert, Certified Childhood Obesity Specialist, International Ambassador Against Obesity, Certified Personal Trainer; Corporate Wellness Program(s) Developer, Philanthropist, and Model. Just a little busy! Carla considers herself a very blessed woman. She is married to her soulmate. Her best friend for over 8 years. They have two adorable tea-cup Chihuahuas, Ms. Munchkin & Bella Mae. Her life is rich, she believes by cultivating and nurturing relationships with the best of family and friends. Her hobbies including reading, writing, knitting, crotcheting, scrapbooking, calligrahphy, cooking/baking, yoga, pilates, dancing, wine tasting, and travel! Although I am hardpressed to know when she has time! Since achieving her personal goal many years ago, her passion evolved into helping other people who struggle with low self esteem, lack of self-worth, and who feel trapped in unhealthy relationships. Carla finds that they often settle for less than deserved; are stuck in miserable jobs for fear of not being able to secure something better; and are horribly overweight. Her clients merely existing day to day, rather than living life fully by design. This transformation is necessary to realize one’s true value and potential. She advocates that” people who are shown better; will do better, and therefore have better!” That is why Carla Ferrer Russo is our second motivational Belle of Steel. “An acknowledgment of a personal error or fault. It just won’t go away. The #lendink debacle continues. In a recent post, I apologized for my own misinformation and asked for understanding from the mob threatening authors who were misinformed. I am flattered that my lil’ ‘ol blog seems to carry any weight Judging by my stats, I still don’t think I really have that many facebook or twitter or blog followers. However, an apology is an apology. Fascinating how one can write it in black and white and yet it is still not accepted. The written word is read in the frame of mind of the reader. Anger begets anger. When I am wrong, I am wrong. At this point, after much more information has surfaced, it is clear that I jumped to conclusions about my own book, FLYING SOLO, being included in the books on LendInk. I sought information from the owner of that site, Dale Porter. I received no return emails from him. I asked author groups, bloggers, and fellow writers. The rage of angels ensued. If I was a party to that, mea culpa. I wrote a blog about piracy, which does exist. It appears that LendInk is a legitimate site. My apologies to LendInk if I was misinformed. My sincerest mea culpa for including LendInk at all the my post. Clear and simple. Let’s all move forward now. Shock and disbelief are the two verbs that resonate related to the “angry mob mentality” that has characterized the recent LendInk debacle. It illustrates how the exponential power on the internet placed into the hands of a crazed set can be turned spiteful. Two bloggers, one an Indie author herself, recently blamed the dismanting of LendInk, a questionable book lending agency, on Indie Authors. Soley, on Indie Authors. Yet, many of the authors who complained about the fact that they were not informed of about their books being lent on this site were in fact published in the traditional fashion. Myths and mayhem ensued; including libelous comments and infantile name calling. The community of authors, whether self published, Indie published (and there is a difference) or traditionally published should ignore this blatant, angry rant. Unfortunately, when the livlihood of their sales is threatened, as is in the recent blog post by A.B.DADA that is hard to do. Any author knows the painstaking work they applied to their material. Their book is their baby. Cherished and held in a hopeful regard that a reader will find it interesting. How cruel, for a few bloggers to slam and threaten Indie authors as a whole by posting on their blogs how they intend to post bad reviews on Amazon and Barnes and Noble, put pictures of writers books on their blogs and recommend not to buy them. There have already been such postings. Here is my attempt to take the high road. All the facts need to be on the table. Authors were crying out to the owner and manager of LendInk and other such sites to come clean about their business practices, inform authors how they were able to obtain the books. Some bloggers quoted the FAQ section of Amazon Kindle (KDP) Select and Amazon Prime. These electronic sections give very little explanation to exactly what is considered a “lend.” Is a “lend” from one KDP user to the next? A one time thing? It appears for many authors, me included, that was our understanding. If misinformed, we quickly got the facts. When royalties are so scant on ebook formats, sure the hair is raised on any author’s back when hearing about a site possibly lending books without permission. Most were horrified. Despite the valiant efforts of some bloggers to explain the “lend” phenomenon, it is still not clear. What is clear, is that higher road must be taken. I sincerely apologize if I was misinformed. What I sought was answers. Concrete explanations from the owners of these sites. If I was wrong, I am the first to admit it. Do Indie authors as a group deserve to labeled an angry mob? “Ax wielding, #ssholes?” A resounding “NO!” Just FYI, slander is of the spoken word in a public forum, libel is degradation in a written domain. 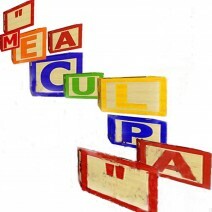 Blogs that have slammed and childishly called Indie authors by name degrading adjectives are committing libel. Stop. Just stop. Let’s work together as a cohesive and worthy force. For none other reason than to bring together delight in a reader’s eyes at your written word. Take a deep breath. Pause. Hug a fellow writer. Let’s better understand copyright, and lending policies. There are some good people and great writer’s out there. Pirates of the ebook! How vulnerable are you? Is your book being pirated? This week was an introduction to how piracy really does exist! A fellow tweeter posted that several authors whom she recognized had books on a now defunct site called LendInk. This site advertised ebooks that could be downloaded for free. Totally free, and not through some Kindle Free Day. It was stunning. Going to the site, it appeared to be true. This pirate firm had downloaded hundreds of books and the covers. It was so slickly put together, that it appeared legit, even posting the actual logos from Amazon and Kindle. 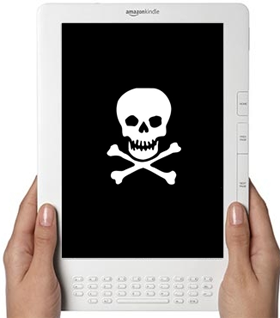 Pirating of ebooks has always been a risk in the epub market. It is nothing new. Bloggers, like GalleyCat have posted excellent articles on this same subject in the past. But it is shocking when it happens to you! Amazon Kindle was contacted and most authors received emails stating that this site LendInk did not have any electronic rights to their books. Amazon, as large as it is, was no help however in shutting the pirate down. Authors were advised it was up to them to file copyright infringement complaints legally. Like wildfire, via facebook and twitter, as each author found out their book had been pirated, outrage swelled. Texts, tweets, and facebook postings grew to thousands in protest in just hours. The owner of the site was contacted via email and tweets, but of course did not respond. 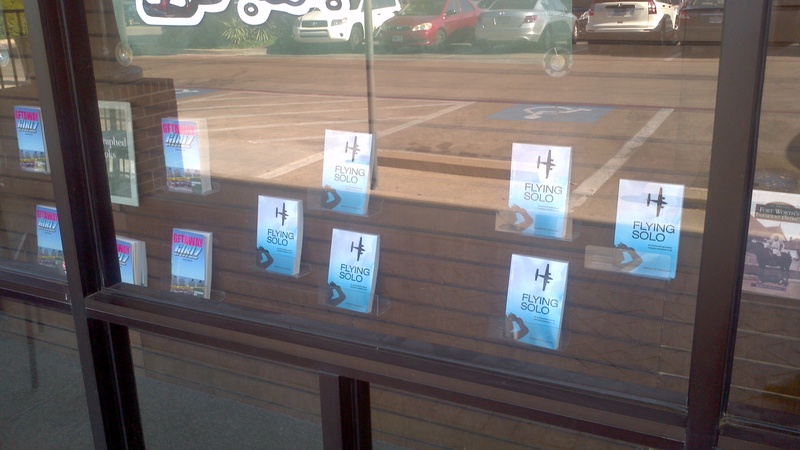 Authors were furious to see that their hard work had been stolen. Their small profits via ebook squashed with this free pirate on the loose. Luckily, there is indeed strength in numbers. The internet makes running a scam business difficult due to transparency. After the owner ignored the pleas to remove the pirated books, a clever blogger got his personal information from GoDaddy. Thank goodness GoDaddy for recording the ownership information for domains. Lawyers contacted the pirate and within 24 hours, the website and the the facebook site for LendInk was demolished! Way to go, fellow authors! Kudos and thank you for rescuing my book, FLYING SOLO from absolute copyright pirating. Your power and allegiance to each other whipped forth like lightening. Powerful, momentous, and victorious. So what is the message here? Support your fellow author. Reach out and connect to them. If you promo it forward for them, they will for you, too. Put #sharethelove4authors on your tweets. Connect through facebook. Unite, share and experience the power of numbers with Indie writers, bookstores, and publishers.